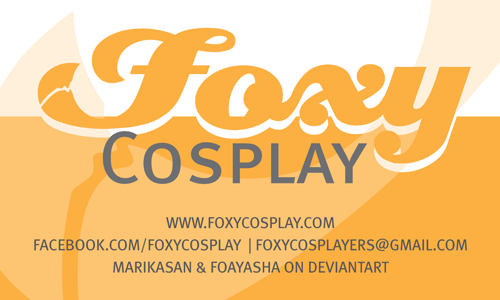 Maria and I had been gushing the past months of all we’re going to do with our cosplay group. We did the website and the facebook, but we really wanted to get our name out there when we head out to cons. Sure, we could have done a basic printout, with some info on how to find our group on the interwebs. Though, with a graphic designer on the team, it only seemed right to get a nice rounded business card to go along with the site.